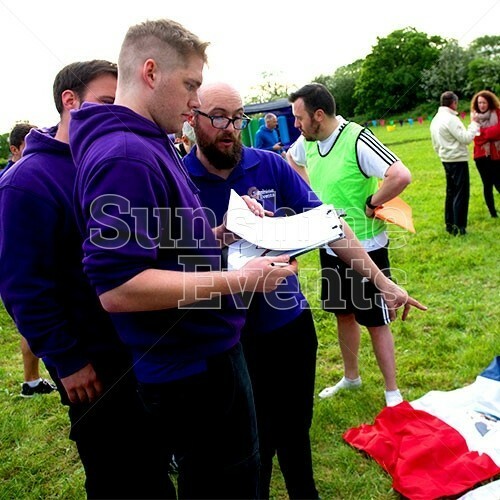 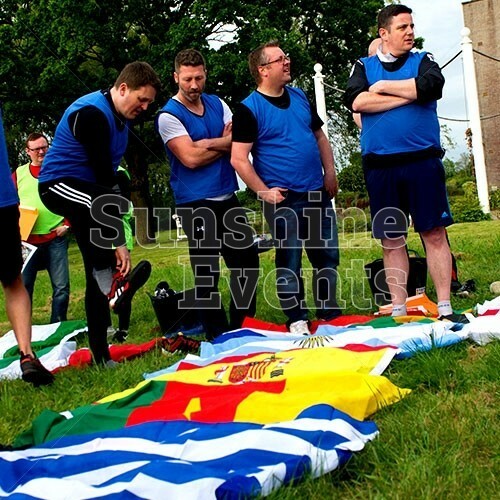 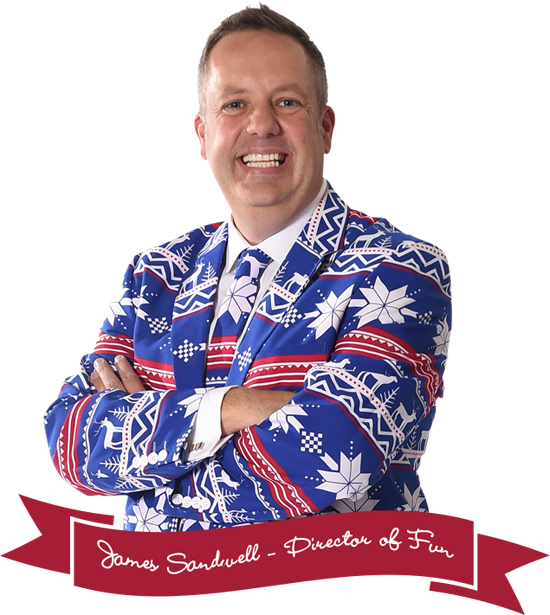 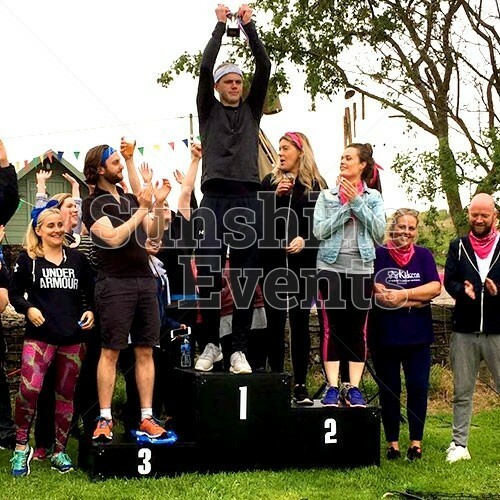 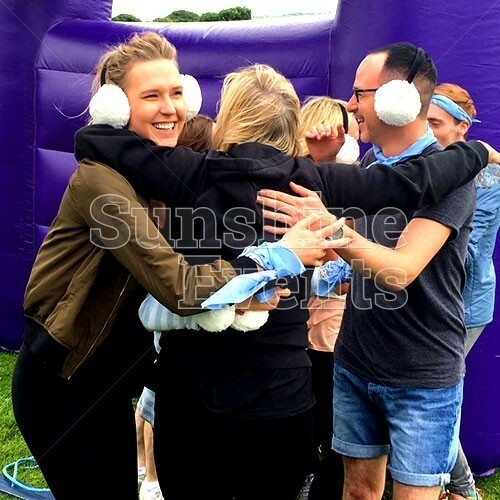 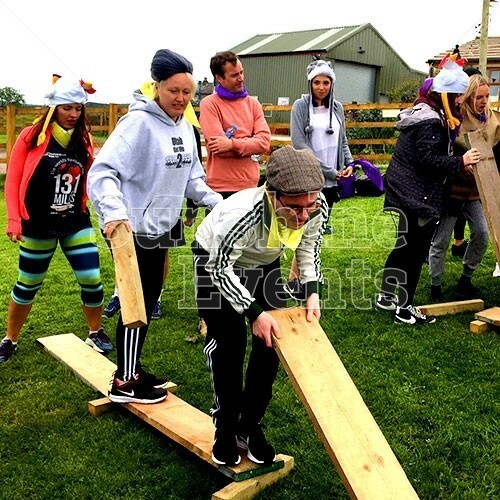 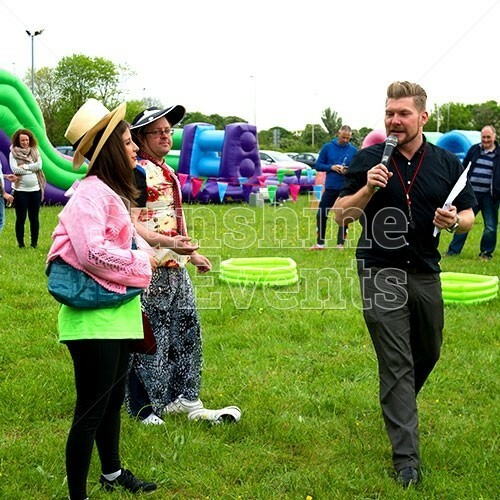 If you’re looking to inspire, motivate and energise your work colleagues with a day of teamwork, competition and fun then let Sunshine Events bring our expert knowledge in Team Building events. 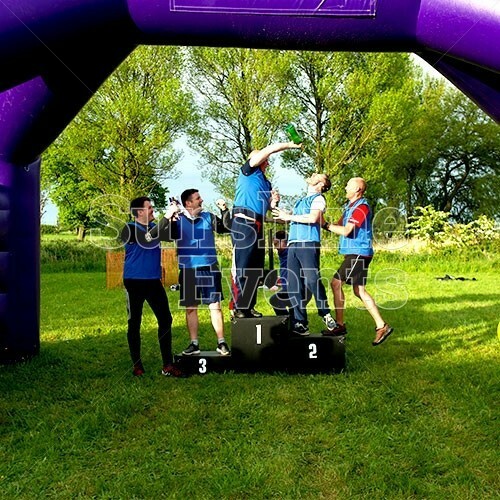 Using mix of inflatables and sporty challenges, we’ve created a series of challenges to get your team racing their way to a more productive future! 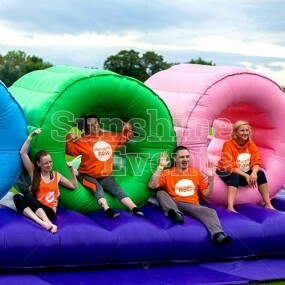 The It’s A Knockout experience is a brilliant way to get your team’s hearts racing, promoting physical fitness as well as camaraderie! 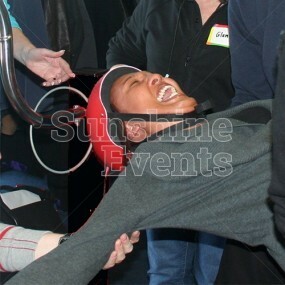 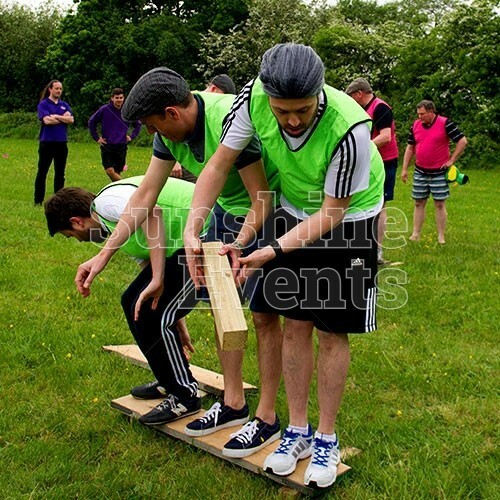 Once the warm-ups have everyone thoroughly prepared, the event begins with the teams racing through the events to score points. 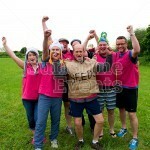 Then it’s off to the Grand Final for the top two teams in the Tug of War! 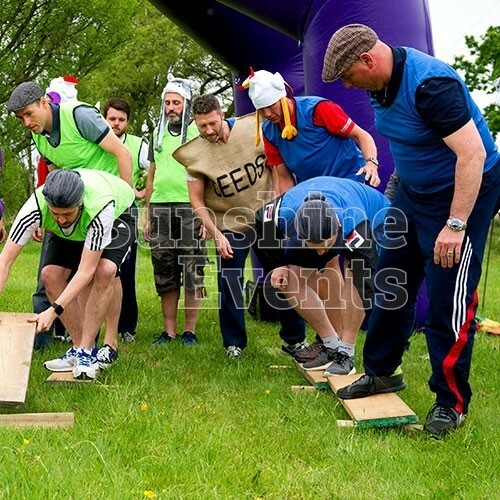 The events are as follows: River Cross Challenge Spanish Omelette Relay Race Mannequin Mix-Up Flag Grab Obstacle Course Winter Ski Challenge You can be sure that everyone involved will have an unforgettable experience with Team Building It's A Knockout; one that they're sure to be talking about when they return to the office. 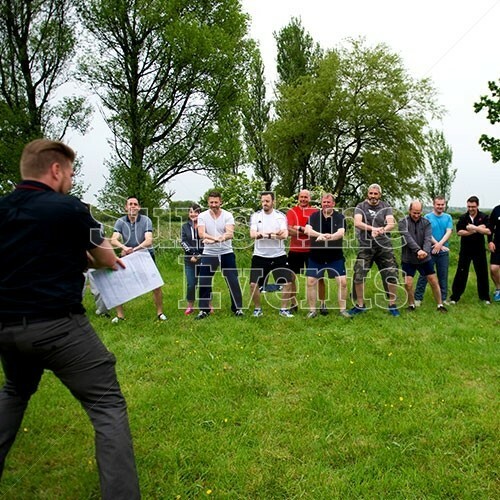 But having spent some 'relaxing' time together away from the office, you will find that your team have come away more motivated and more driven and ready to jump straight back into the hard work with raised spirits. 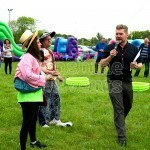 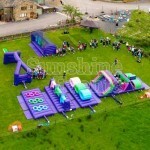 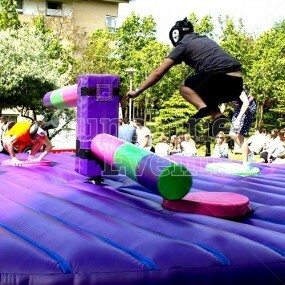 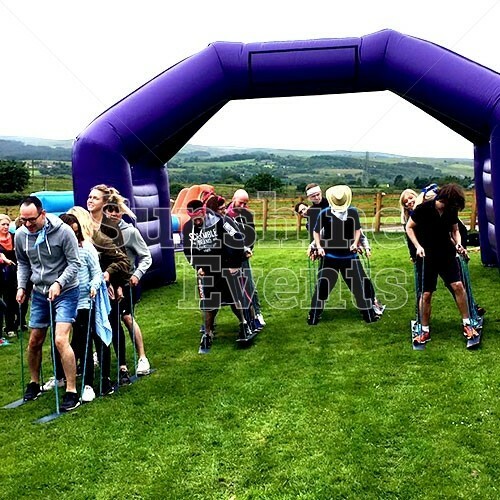 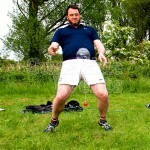 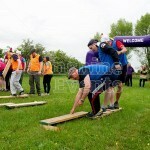 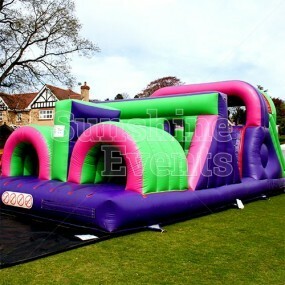 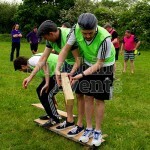 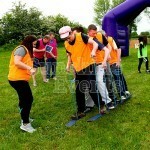 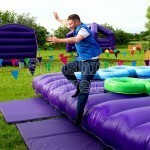 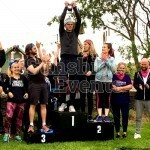 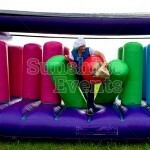 What events are the Team Building It’s A Knockout Hire suitable for? 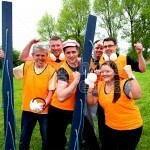 As well as being used for Corporate Team Building events, the It’s A Knockout Hire can be used for all sorts of exciting opportunities: Fun Days Promotional Events Charity Events University Events Sports Events Birthday Parties Team Building Key Features of the Team Building It’s A Knockout Hire: Suitable for up to 100 participants A mix of large inflatables and sporty activities Mental challenges for the less able Complemented by an event host Extra bonus rounds, time permitting Get your pulse racing on the Team Building It’s A Knockout Hire and bring your team together in the best way possible! Challenges: Equipment: Description: River Cross Challenge Walk The Plank You’ll need brains as well as speed as you find a way to get a wolf, a chicken and a bag of seed across the river! 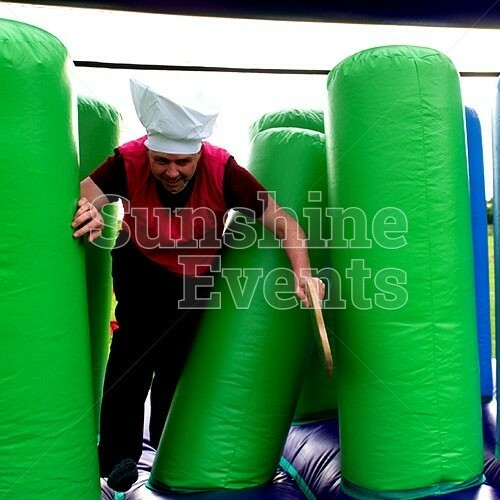 Spanish Omelette Relay Race Giant Egg & Spoon Race Space Hoppers Sack (of Spuds) Race Assault Course Scramble Net Assault Course Pillars Various food props Collect the ingredients to make a Spanish Omelette (e.g. eggs, milk and potatoes), scramble them up to win! 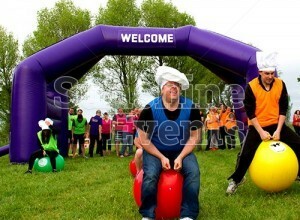 Mannequin Mix-Up Hungry Hippos Inflatable A team member is strapped into the Hungry Hippos Inflatable and they race to collect items of clothing from the centre. 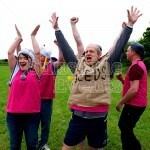 They’ll pass them to their team who have to dress their mannequin (it’s a real person). 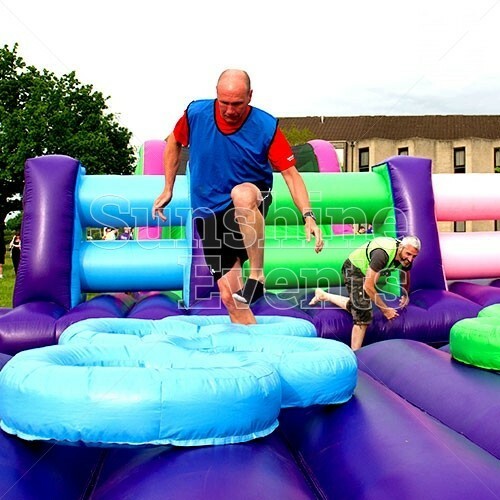 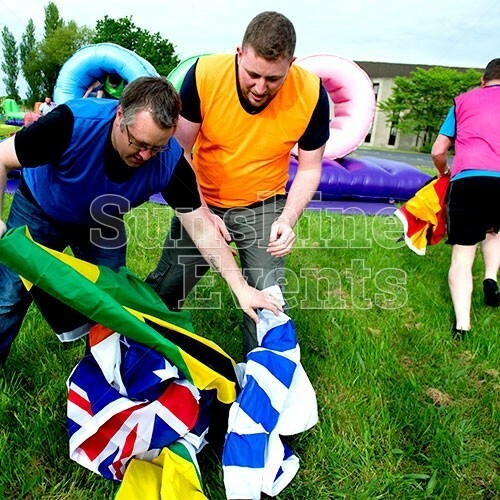 Flag Grab Obstacle Course Assault Course Main Section Assault Course Mangles Assault Course Tunnels Assault Course Tyres Decipher the clues to identify the flag you’ll need, then race through the Assault Course to collect it. 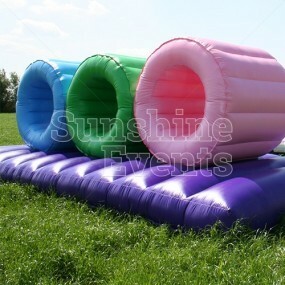 You won’t know if you’re right until you bring it back though! Winter Ski Challenge Ski Slalom Good communication skills are essential to get to the Ski lodge and collect your ear muffs - once you’re all wearing them it’s time to get back to the slopes! 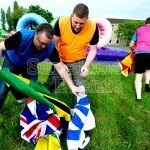 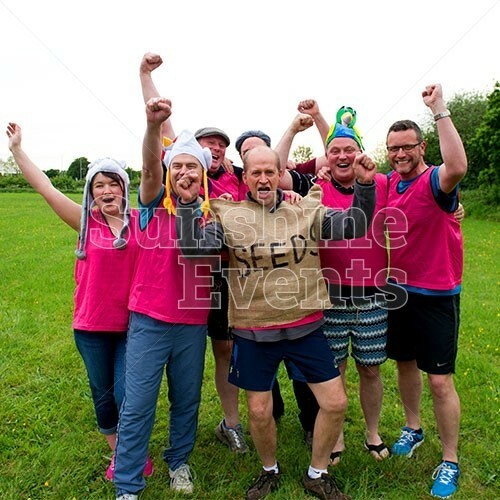 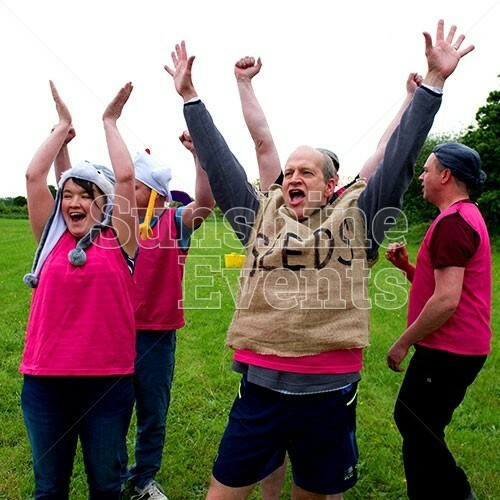 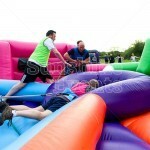 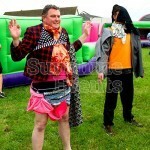 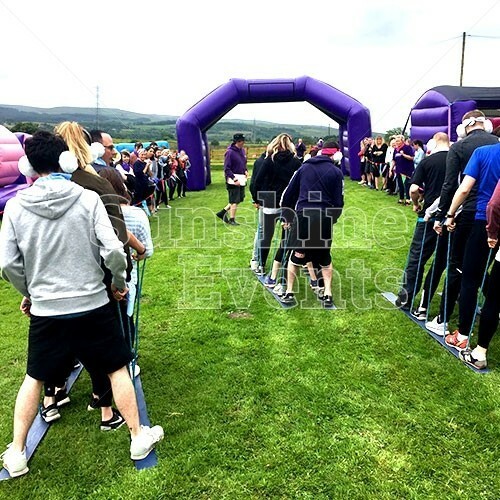 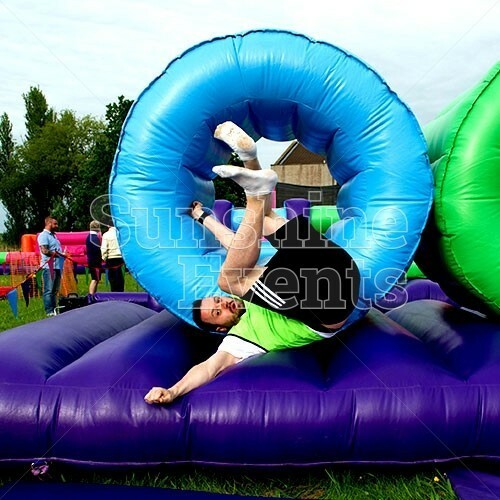 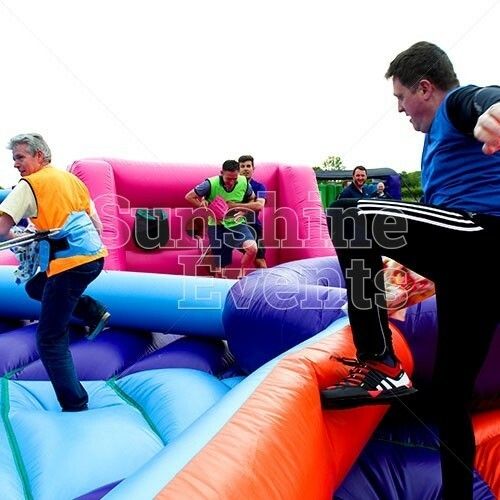 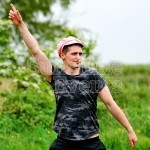 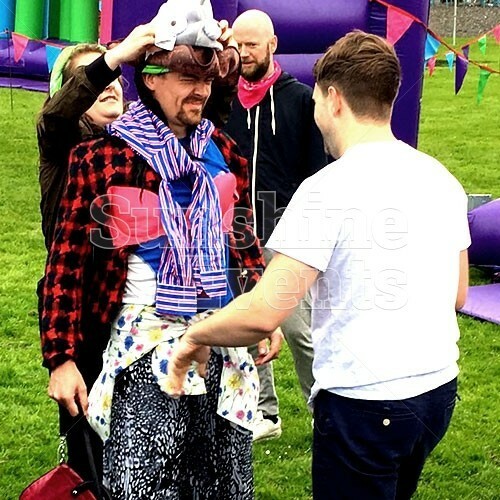 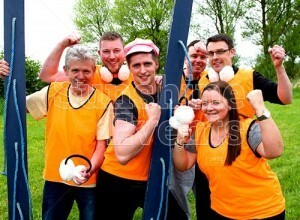 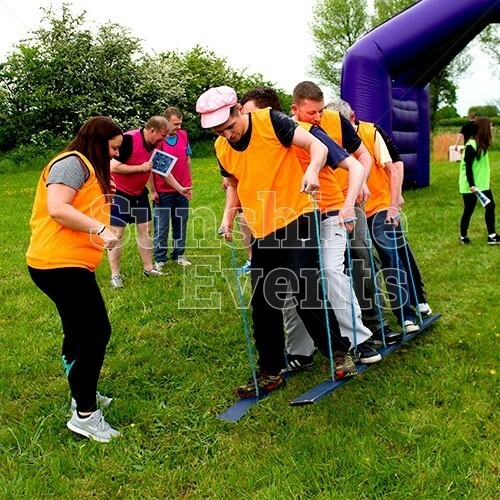 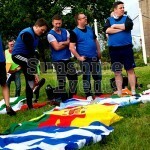 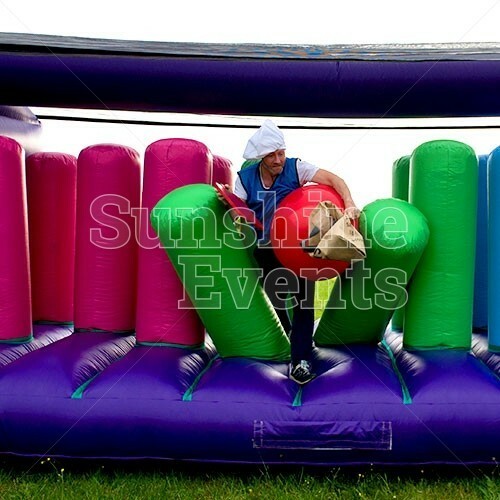 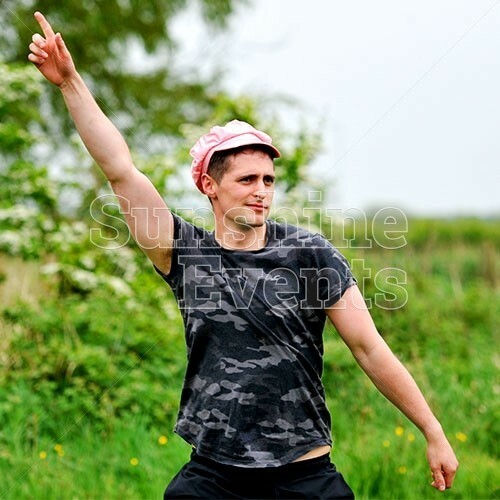 Team Building It's a Knockout has been added to your Event Quote.